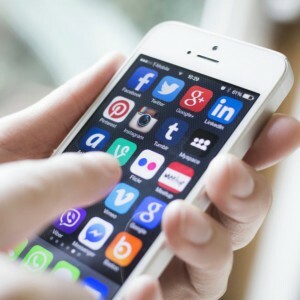 NEWBURGH– Many college students could not imagine a day without updating their social media outlets, but according to an article from Edudemic.com, there are several negative and positive effects of social media on student’s grades and social lives. Students at Mount Saint Mary College are no exception to these impacts. Edudemic states students who attempt to multitask, checking social media sites while studying, show reduced academic performance. Junior Stefania Riccitelli doesn’t feel as if social media affects her school work. “I feel like our generation has become accustomed to multitasking,” said Riccitelli. Sophomore Jenna Malouf feels that she needs to eliminate any kind of distraction rather than multitasking. Also, social media can hinder relationships of friends, family, and peers. Sophomore Abby Birnbryer doesn’t enjoy any social media other than Instagram because she believes there is too much unnecessary drama created on these sites. “I’ve been in situations on social media that I had to be careful what I posted because it would cause drama between certain people I was friends with and I don’t want to have to deal with that, “said Birnbryer. Malouf said there are more negative outcomes than positive outcomes in the socializing aspect of social media. Negative effects are well-known to members of social media, but what many people do not see are the benefits it provides as well. Edudemic explained how social networking has increased the rate and quality of collaboration for students. This benefit helps students learn how to work well in groups. Riccitelli agrees that this is a benefit of social media. Malouf said her study groups keep in contact through social media. She said study groups play a large role in her education and if they couldn’t contact one another there would be no study group. Being at college is an entirely new setting for students and everyone meets new people. Social media plays a positive role in students making new friends. On social media, people get in contact with others share the same interests or even people in the same classes. Malouf said she connects with people in her classes on social media and she agrees that it definitely helps in making friends in college. “If you find someone in the same class as you on social media sites and they are having the same difficulties as you, it gives you both something to connect with and help each other out,” said Malouf.